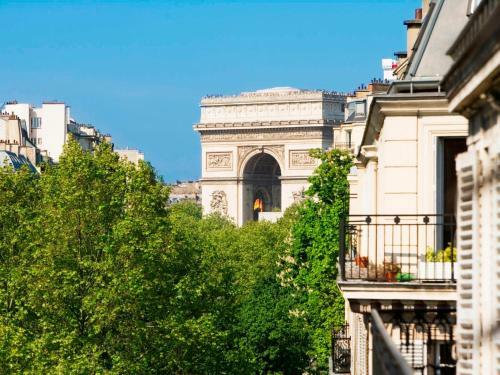 This hotel is located 500 metres from the Champs-Elysées and the Arc de Triomphe. 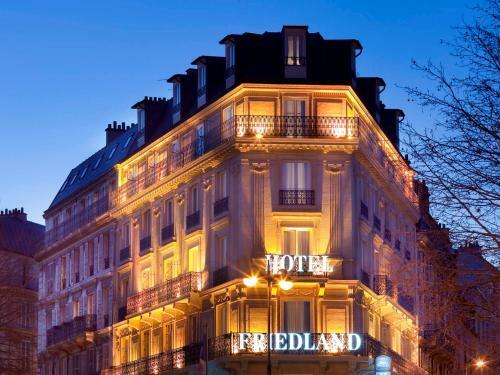 Rooms at Champs Elysées Friedland are furnished in printed fabrics and are contemporary in style. Each has an LCD TV with satellite channels and some have a private balcony. The hotel is a 10-minute walk from Charles de Gaulle - Etoile Metro and RER station. These transport links offer direct access to Le Louvre, Le Marais district and Disneyland Paris. Please note that 100% of the first night might be charged anytime after booking. This prepayment is non refundable for stays of 7 nights and more. Decorated in an elegant style, the rooms have air-conditioning and an LCD TV with satellite channels. Rate: € 134.00 ... € 359.00; select dates below to get current rates. Rate: € 152.00 ... € 344.00; select dates below to get current rates. Decorated in an elegant style, the rooms have air-conditioning and an LCD TV with satellite channels. Extras in these rooms include a large work desk. Some have private balcony. Rate: € 197.67 ... € 296.50; select dates below to get current rates.